In this Easy Intern Assignment you will learn how to use WordPress to grow and expand your business and dominate your industry. Cory Miller is the founder of iThemes.com, PluginBuddy.com and WebDesign.com, all focused on providing high-quality WordPress products and training. 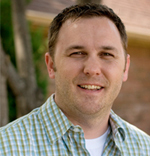 Based in Oklahoma City, he started the company in Jan. 2008 and now has a team of over 14. He got his start with WordPress for a professional blog and started dabbling in WordPress theme design before starting his current business. How to use Wordpress to quickly and easily build websites & blogs Access to over 75 more free videos and tutorials!